Most iodine is dyed a deep red color but you can get it without the dye. This is a guide about buying clear iodine. I am trying to find "white iodine" and am having nothing but problems. Any ideas? 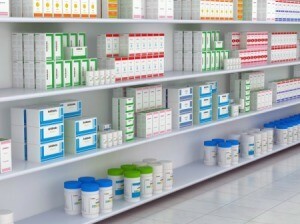 Try any of the stores in your area that have pharmacies. My local K-Mart pharmacy has placed special orders for me. Both of my thumb nails have deep horizontal ridges on them that look terrible. I bite my nails and fingers all the time, but my other nails do not have these ridges. I was told I could use white iodine, but cannot find it at Walmart or Walgreen's. Any suggestions? Thanks. Before trying any home remedies on the horizontal lines on your nails, please see a doctor; horizontal lines on the nails can often be a sign of illness. Please do a little checking around on line--earthclinic.com is very good. Thanks to all of you who responded to my question. I have ordered some online and am awaiting it. I have painted some on my stomach daily since Gina gave me the earthclinic website. It stayed on my body but faded to almost nothing. Since doing this I actually feel better and can notice a slight change in the ridges in my thumbs (can't believe it). Where can I find clear iodine? I have looked in just about every store in our town and no one has it. The Sam's Club Pharmacist ordered a bottle for me in January 2009. I bought my first bottle two or three years ago, on eBay (which the seller got from Mexico) after reading about it helping soft problem fingernails in Heloise's Hints in the newspaper.